The One Pager WooCommerce theme includes everything you need to showcase your product & personal information on a single, beautiful scrollable page. 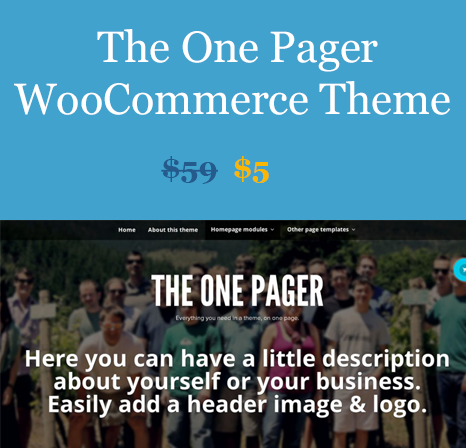 The One Pager WooCommerce Theme: The One Pager theme includes everything you need to showcase your business, product or personal information on a single, beautiful scrollable page. Customize what modules to display, and in what order, with the flexibility of all our themes still tucked away in other page templates should you require.